Today, my blog reached a small milestone–it’s my three month anniversary. I feel like a newlywed, looking for a reason to celebrate each minor event. These three short months as a food-blogger have taught me much, you see. Blogging – My background is in numbers–Accounting, Finance, Investments. I have zero web-based skills and was intimidated by the thought of starting my own page. Enter WordPress and its user-friendly platform…Voila! Jean’s a blogger. Quickly, however, I saw the limitations of free web-hosting so I’ve acquired the right to use my domain name but I’m still working on the rest. This is huge for me, but I choose to see the positive. Three months ago I didn’t even know I could do this myself and here it is. Photography – For the first few posts I used a hand-me-down point-and-shoot from my husband. I finally learned to use it and was so happy. However, he quickly saw the difference between my pictures and those on Tastespotting and Foodgawker. I was blind, you know. I thought my early pictures were fine. Don’t laugh, but I was delusional. My sweet husband took pity on me and upgraded my equipment. And you know what? I was so intimidated about using my new camera that I didn’t touch it for two weeks! I still have a lot of trouble taking consistently decent shots but I’m learning and having fun doing it. Since my kitchen (I’ve discovered) doesn’t provide adequate natural lighting when I’m ready to take pictures, I’ve had to set up a little photo station. I’m also developing a new appreciation for the different settings around my home that could help improve overall quality. The resident photographer just has to learn to take advantage of them. Again, progress has been made, no matter how small. Reason #2 to be happy. Update: I just re-read this post and it sounded like I was implying the inferiority of point-and-shoots. Gosh, not at all. I’m still really attached to mine. I just didn’t have the heart to tell my husband that it’s probably more the photographer that needed to be upgraded than the camera! Like Lance says, “It’s not about the bike”, right? Friends – Perhaps the best thing that’s happened so far is that I’ve been able to connect with so many nice people who share the same passion for food. You quickly welcomed me and made me feel part of a community and it feels so good! I still admire your work and your consistently beautiful and delicious offerings always inspire awe. It makes me feel like a food-blogging impostor to be associated with you, but I appreciate it so much! Thanks for the little doses of joy you bestow upon my day when you stop by for a visit. 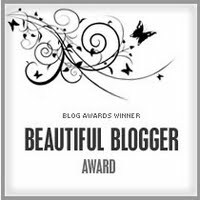 To make this day even more grand, I received my second award from The Cilantropist: The Beautiful Blogger Award. I’ve had to visit her site even more than usual to make sure I didn’t get the award thing all wrong. I can’t say enough how flattered I am that she thought of me, but I want to dedicate an entire post for the award as I am supposed to pass it on to others and give you random tidbits about myself. I have to think about that, hmm. Finally, I celebrate with this Kiwi gelato. 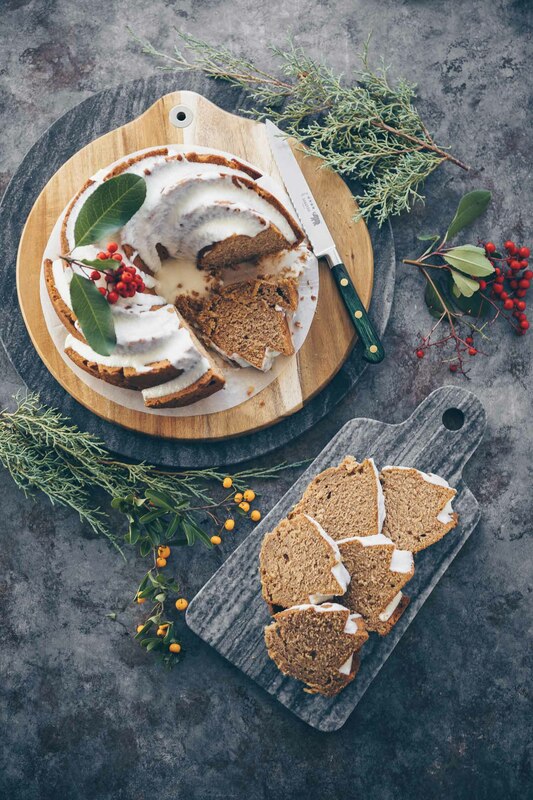 I hope you haven’t grown tired of all the “firsts” I’ve been posting lately, but they do represent a big part of why I started this blog–to make a dent on my extremely long Recipes-to-Try list. This recipe is a fitting one to mark this occasion for I’ve been wanting to make my own ice cream for quite a while. It was surprisingly easy! The recipe I used came from Torrance Kopfer’s Making Artisan Gelato. There wasn’t a recipe for kiwi gelato so I used his instructions for making the strawberry variety. My first impression was positive: The texture was consistent with the softer, denser gelati that I loved so much in Italy, particularly one in Florence (The serving pictured looks firmer because it’s sat in the freezer). This also tasted like kiwi and not sugar or cream, another good thing. In many respects, the recipe was a success and I rate this gelato an 8/10 overall. The drawback was my fault entirely. In my excitement to make this, I failed to account for the consequences of pureeing the seeds. There was a slight bitter aftertaste to the gelato–it wasn’t that bad but I wouldn’t feel confident serving it to company either. I think I should have mashed the kiwi instead of using a food processor. For this reason, I’ll wait to post the recipe if you don’t mind, but if you must have it, just let me know and I’ll update this post. If you have suggestions, please comment away. Thanks for reading this lengthy post. I just wanted to express my appreciation for the little things in life that surprise by paying dividends in ways that truly matter. Keep blogging and see you around the blogosphere! This is exactly what I mean–thanks so much, Greg. What a way to make this girl happy! I appreciate this so much. I’ve been making some changes to my links lately and I would like to reciprocate. Not an obligation on my part but my list will more accurately reflect whose sites I enjoy visiting. Thanks again! Happy 3 months! I am excited for all your future posts, but I could really use some of the Kiwi Gelati now, it feels like 100 degrees here in TX! No one would ever know you hadn’t been doing this for years, if you hadn’t told on yourself! I’ve been doing this almost 5 months now and still feel like I’m on a learning curve. Congratulations on the award! The gelato looks amazing! Congrats on you 3 months anniversary. 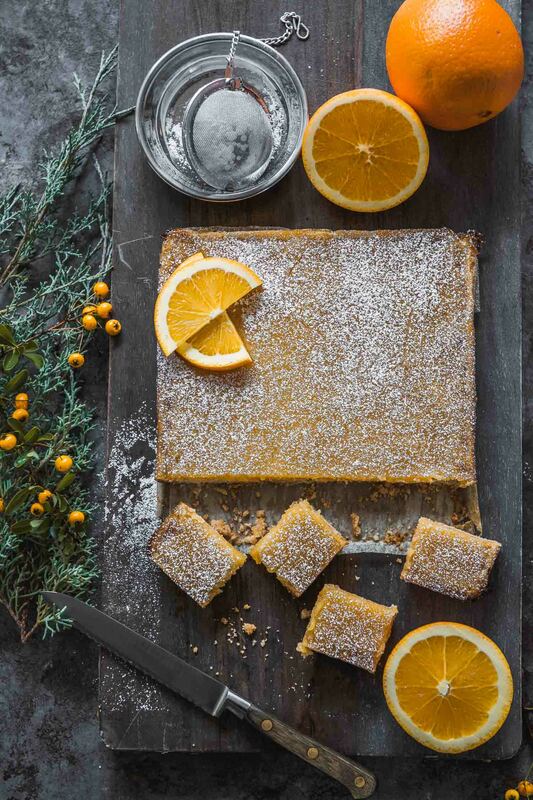 Your pictures are mouthwatering and all your posts are full of life, i really enjoy reading them. Green Girl, thanks so much. That’s really nice to hear. Mostly, I feel like I just ramble so I often have to watch myself. 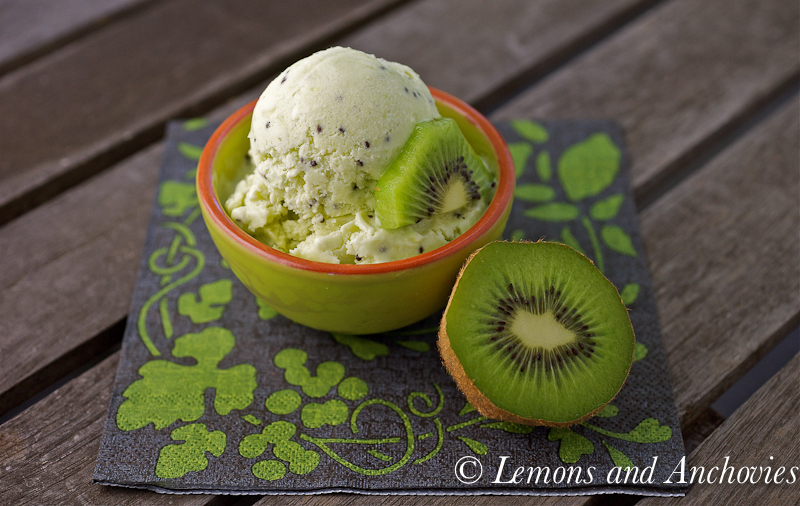 Kiwi gelato recipe coming soon! Congratulations on three months…I just started in January, and it has been such a rewarding experience. Your blog is one of the highlights of my day! And this kiwi gelato? Wonderful. Thanks for sharing another great idea. Monet, likewise. Why do you think I gave you the Sunshine Award? 🙂 I love reading your posts. Thanks! Thanks for the tips–when I had kiwi gelato for the first time in Florence I really got a kick out of seeing the seeds. My execution just wasn’t great. I’ll do what you did next time. As for the gelato vs ice cream, I’ve read that the former generally has less fat than the latter–more milk than cream-based. Enough reason for me to seek out those gelato recipes! Happy anniversary!!! I enjoy reading your posts and your photos make it even better 🙂 Well deserving of the Beautiful Blog award. I’m digging that kiwi gelatto! I love the look of the kiwi seeds throughout. I may have to try this one very soon. Thanks so much, Christa. I’m a frequent visitor to your site, too. I’ll post the recipe soon with a special note not to puree the seeds like I did. Congratulations on 3 months! You’ve had an excellent beginning of a successful blog and I’m looking forward to following you regularly! The kiwi gelato sounds so good to celebrate with! Ah Jean, 3 months! Sooo exciting! 😀 I am right there with you, I feel like each month gets more and more exciting, and I am thoroughly enjoying every delicious minute of it. 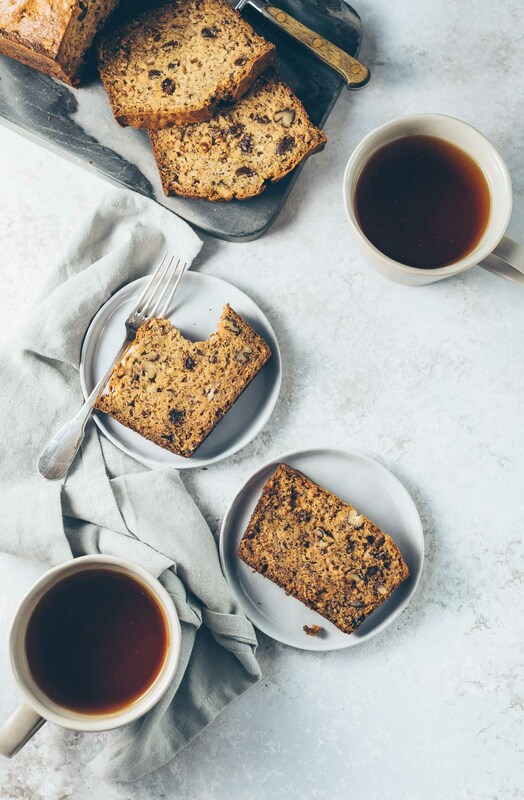 I can’t really decide what is the best: exploring new foods, being inspired by so many other cuisines and dishes, or being part of an outstanding blogging community that includes such gems as yourself. I am tickled pink that you are pleased with the award and you definitely deserve it! Congratulations and I really look forward to reading your new posts. Thanks for the kiwi gelato recipe, I feel like I’m a kiwi collector, time to use ’em up! Thanks! After tasting it in Florence, I had to try it at home. I’ll post the recipe soon. happy three-monthsary!! I love this Kiwi Gelati. It looks so refreshing and yummy!! Congratulations on your three-month and beautiful blog award! You have a great blog and your photography is beautiful. The close-up image of the kiwi-gelato is gorgeous! Hi Jean, Congrats on your 3 months anniversary and beautiful blog award! What a fabulous way to celebrate. Gelato is on my list too – or more on my step-daughter’s list, I should say. 😉 I love the idea of kiwi gelato. We love kiwis and it sounds so refreshing! I completely relate to you when it comes to techy stuff and photography. My background is in business plans/marketing and spreadsheets. 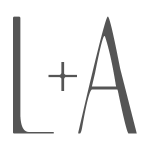 My husband thinks it’s a miracle I have a functional blog and figured it out on my own. LOL. My photography is just shy of really bad and I use a point-and-shoot. I think your photos are gorgeous. I don’t think my photos would be any better w/ a better camera – like I tell my brother all the time, it’s the photographer, not the camera. LOL. Cheers! Thanks, Judy! I’m glad I’m not alone with the tech stuff. I completely disagree with you about your photography, though. Your food always looks appetizing! You know, I still like my point-and-shoot; I’m more comfortable using it. Thanks! Thanks so much, Sarah. I felt a little silly celebrating three months but that’s how the post came together. Congrats on your three month mark! Great blog, keep it up I’m happy to hear you got an upgrade, like your previous commenter, I’m jealous. Ihave a point and shoot. Hoping to upgrade soon! 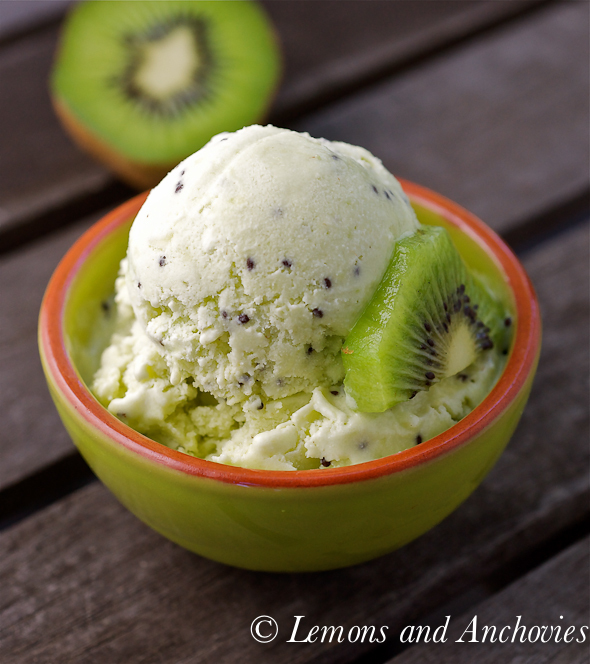 I’ve never had kiwi gelato, but it sounds and looks – thanks to your great photos – refreshing and delicious. Congratulations on your recent award. Congrats on the Top 9 and on your anniversary! You have a beautiful blog and your gelato looks yummy! However, my problem has been that I can’t find too many blogger friends 🙁 lol So I admit I’m jealous when I hear you have gotten such support 😉 (but happy for you all the same!) I just don’t know where I can meet other fellow foodies who would want to be friends. I love your pictures! I definitely have to improve in my picture taking skills, but at this point I’m just happy if I remember to take a picture! haha One thing at a time right? I’ve been a bit quiet lately but it won’t stay like that for long! Congrats on your anniversary! I enjoyed reading your post. Blogging is a journey that you learn so many things and do meet wonderful folks that are like minded and share a passion for food. I think it so incredibly cool. Your kiwi ice cream is a must make for me! Thank you for sharing!